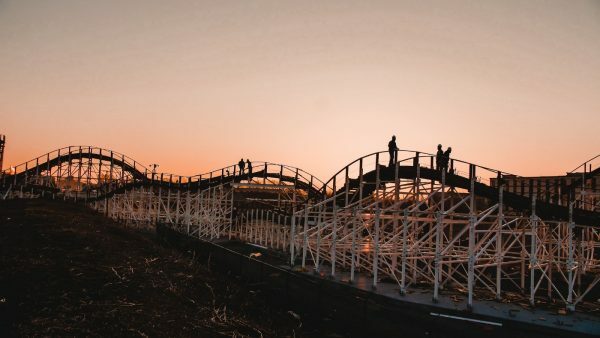 Kentucky Kingdom sent us some beautiful sunrise photos of the park’s nearly complete Kentucky Flyer wooden coaster, which is slated to open in late April. Even at daybreak, construction crews were already at work across the coaster’s 1,280 feet of track. 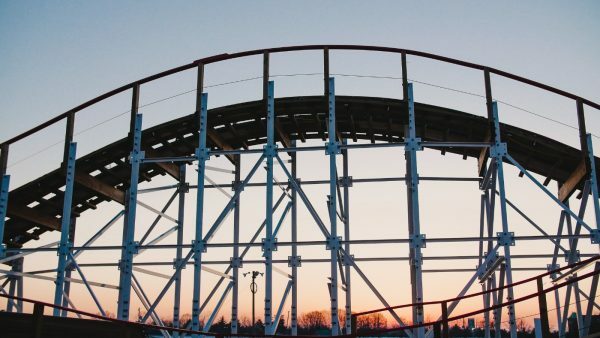 They’ve worked through intense conditions this winter including rain, snow and frigid cold temperatures. The family-friendly Gravity Group coaster stands a kid-friendly 45 feet tall. 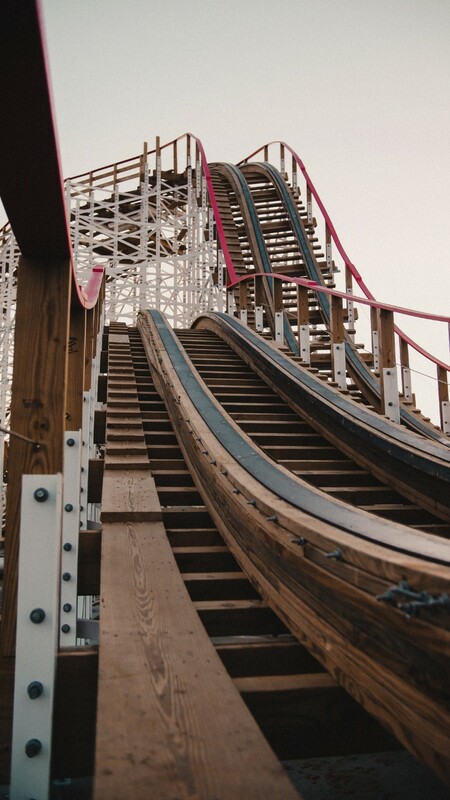 Riders must be at least 46 inches tall to ride alone or 40 inches tall if riding with an adult. Though Gravity Group wooden coasters use steel scaffolding-style supports, the track is undoubtedly wooden (see above). 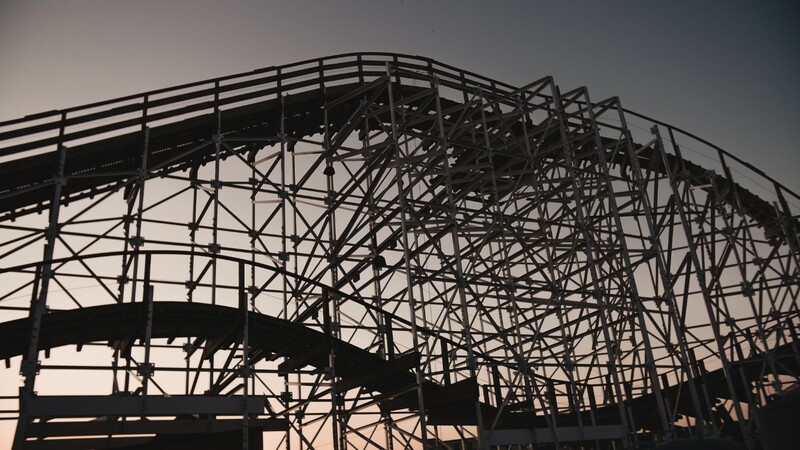 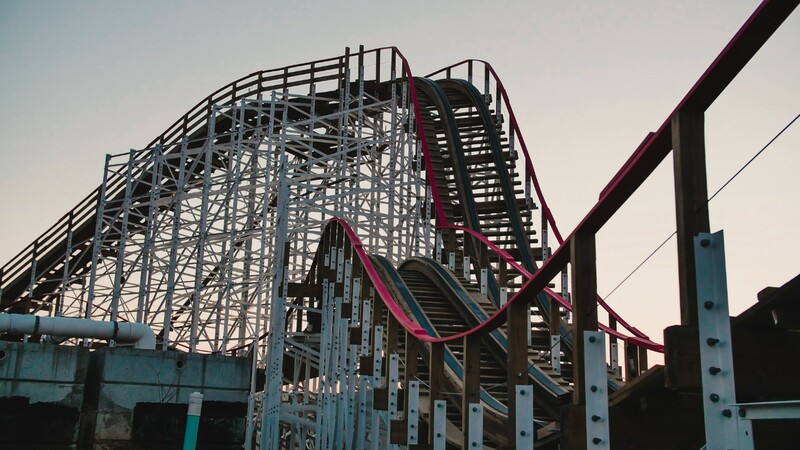 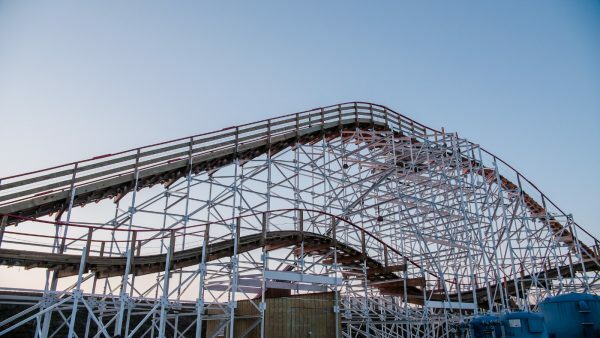 From afar, the “hybrid” wood-steel coaster maintains a very traditional appearance. 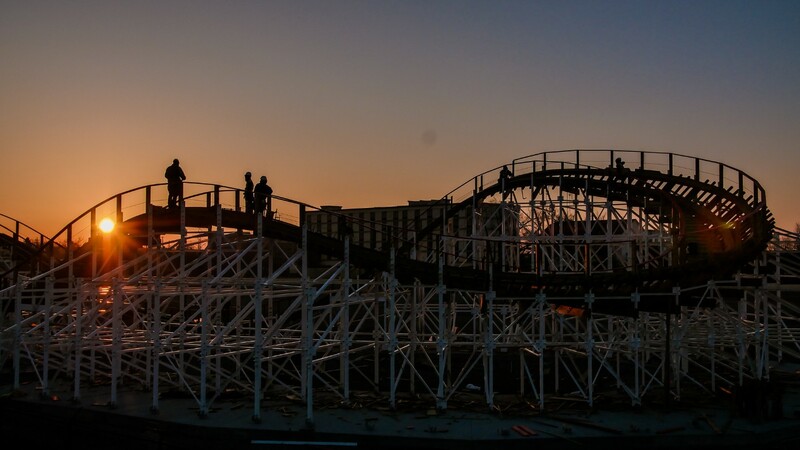 The last few steel bents that will support the track were installed earlier this month. 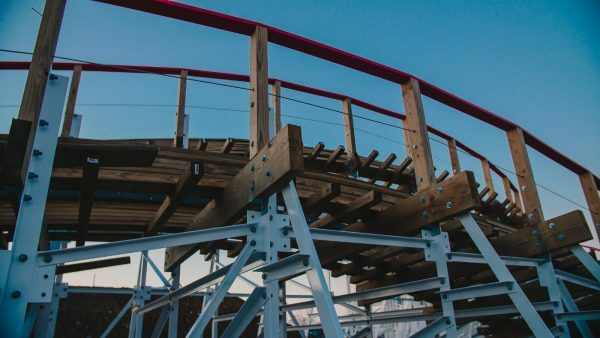 Kentucky Flyer will pack 12 airtime moments. From looking at the bunny hills along the coaster’s out-and-back layout, I believe that number. Each of Kentucky Flyer’s two trains will feature six cars with two riders per car. 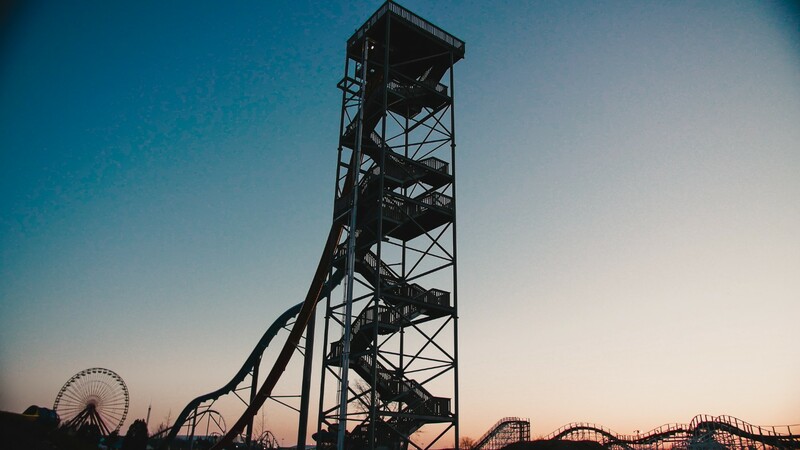 The 12-story Deep Water Dive still stands as one of the tallest rides at Kentucky Kingdom. 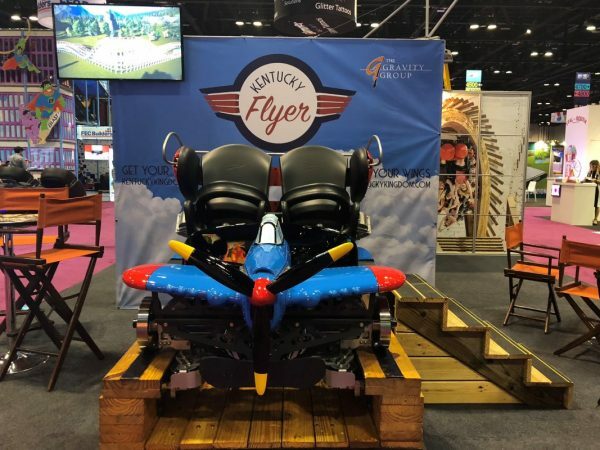 Kentucky Flyer will offer a beautiful backdrop to the Hurricane Bay water park. 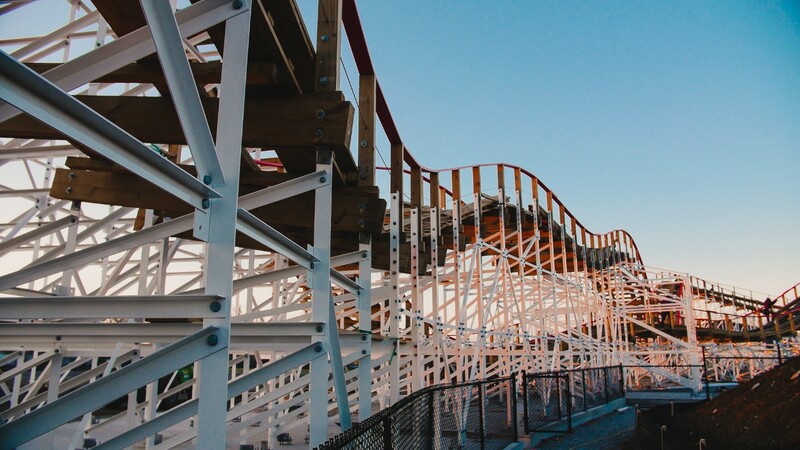 One of my favorite things about the ride is its classic color scheme of red and white with unpainted wood. 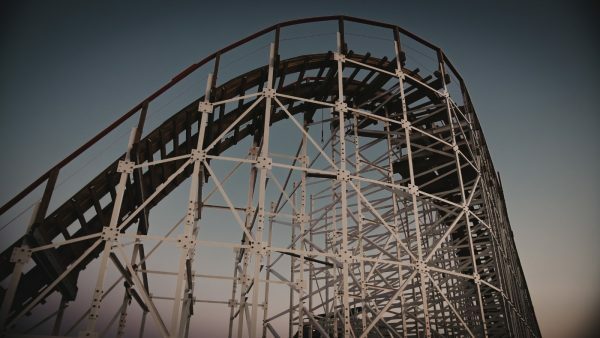 Kentucky Flyer is scheduled to make its official debut to the public on April 28th when the park opens for the 2019 season. However, the park is offering season passholders the chance to ride Kentucky Flyer during a “season pass preview party” on Friday, April 26th. More details for the passholder-only event are available here. 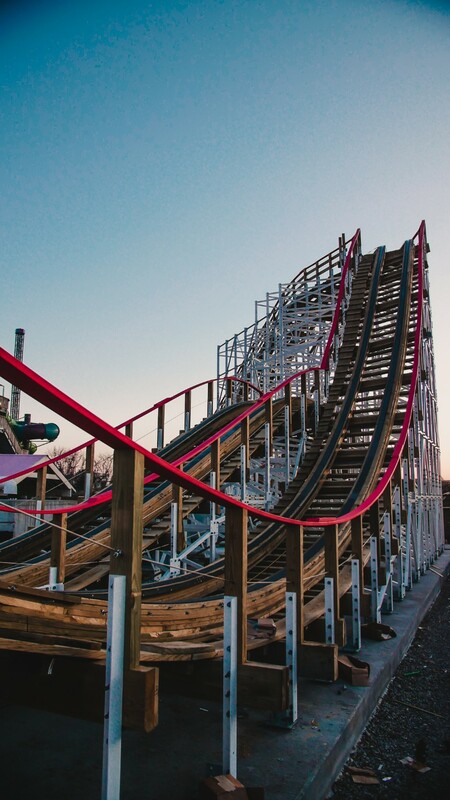 Learn more about Kentucky Flyer at Kentucky Kingdom’s website. Coaster101: What influences train speed?